Play is every Thursday night of the season which runs from March—September. 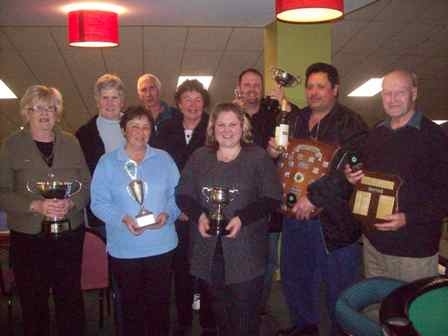 We have fun Club Nights but we also have Club Championships and reciprocal visits to Dannevirke Club, Levin Cossie, Lions Club, Wanganui Club & P.N.R.S.A. We are an affiliated Club, so this enables members to play in Association, Centre & Chartered Club events if desired. New members are most welcome & coaching is available if required. We are a very friendly adjunct with all abilities of play and a very mixed age group. ¨ Adjunct Annual fee is $15.00. New players are welcome, no experience necessary, coaching available if wanted. Luncheons are held twice a year for financial members. Played all year round, this is a friendly enjoyable afternoon.